5 lucky winners will each WIN 4 tickets to the movie preview of MINUSCULE: MANDIBLES FROM FAR AWAY! Be the first to catch this exciting movie with your family for FREE! If you and/or your little one are fans of adventure and appreciate some belly laughs, look no further! The upcoming film, MINUSCULE: MANDIBLES FROM FAR AWAY will be showing really soon at the theatres from 1 May 2019—but you'll get to watch it first on 29 April! As the first snowflakes fall in the valley, it is high time to gather supplies for winter. Unfortunately, in the process a young ladybug is trapped in a parcel... that is shipped off to the Caribbean! There is only one way out: gather the dream team again! The ladybug, ant and spider join forces once more on the other side of the globe. A new world, new encounters and new dangers...will the rescue squad make it in time? 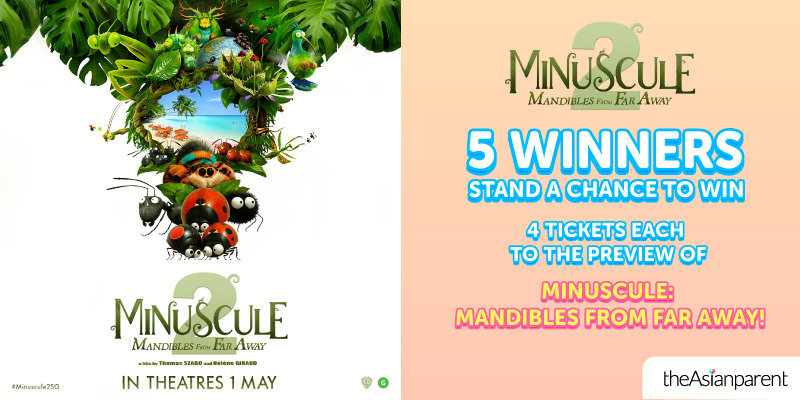 Here's how you can be one of the FIVE lucky winners to win a set of FOUR preview screening tickets to MINUSCULE: MANDIBLES FROM FAR AWAY on 29 April 2019! 2. Enter your details below to participate! Easy peasy! 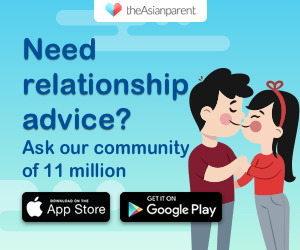 Contest ends 24 Apr, so hurry. Winners might be contacted via email / Instagram / mobile.